Our favorite denim style at the moment is straight-leg jeans. They feel very classic and give off great '90s vibes that we love. 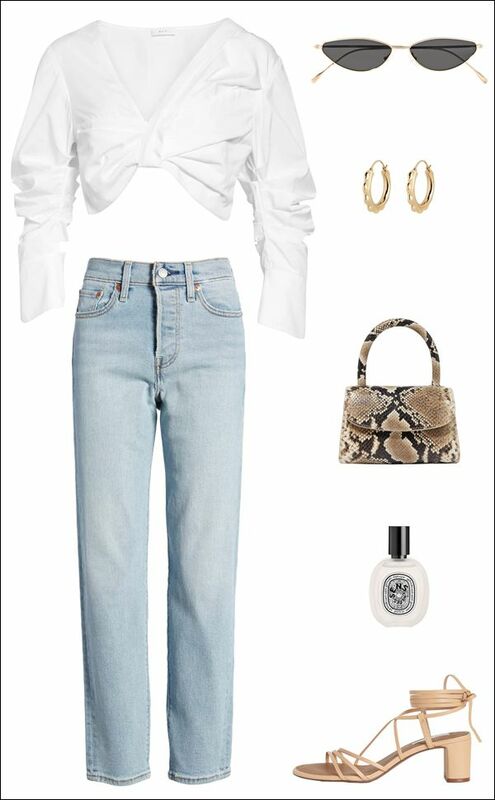 For a fresh take on the pair, try wearing them with an elevated white crop top, fashion-forward cat-eye sunglasses, edgy hoop earrings, a snakeskin mini bag, and ankle-tie leather sandals. I lieu of a your usual bottled fragrance, keep with the light and airy feel of the look with a lovely scented hair mist.